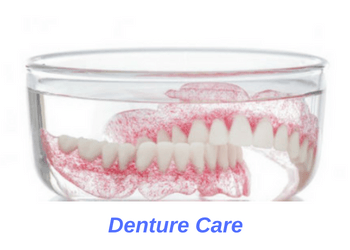 Why is it important to care for my dentures? Can I sleep with my dentures in my mouth? Do I still need to see a dentist if I’m wearing dentures? Keeping your dentures clean prevents them from smelling bad, irritating your gums and even causing infection inside your mouth. 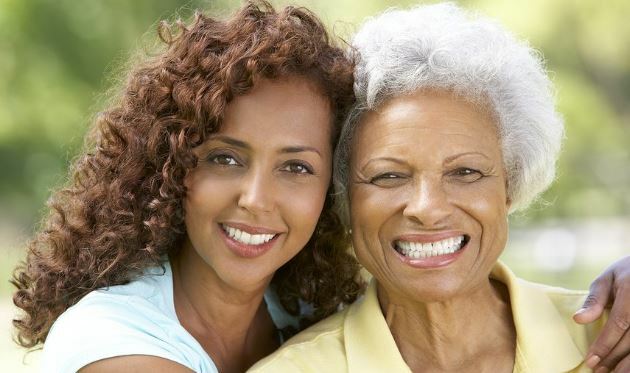 Caring for your dentures helps protect your remaining teeth, gum structure and jaw bone. Just because you are wearing dentures shouldn’t mean that you neglect cleaning your mouth. 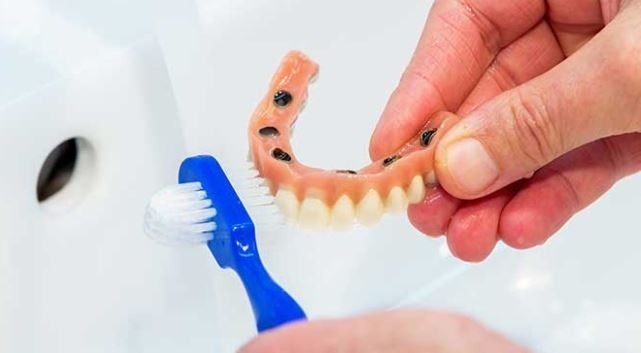 Cleaning your dentures regularly will prevent food particles from gathering on your false teeth. This keeps your dentures looking new and feeling fresh. Plus, well-cared for dentures typically last much longer and perform better throughout their lifetime. Finally, keeping your dentures clean prevents them from smelling bad, irritating your gums and even causing infection inside your mouth. Clean your dentures by using a regular toothbrush with liquid soap or other acceptable cleaning solutions. For even cleaner dentures, use special denture cleaning solutions weekly. This helps remove stubborn calcified particles to keep them clean and fresh. When you’re not wearing your dentures, store them securely in a designated container. Always keep your false teeth soaked in room temperature water. Finally, avoid using toothpaste on dentures because toothpaste is abrasive and can damages your acrylic teeth. Wearing your dentures at nights stresses your remaining teeth. This can cause cavity formation on your teeth and also increases bone loss around them. Consequently, wearing your dentures at night times means that you will lose your remaining teeth sooner. Individuals who wear their dentures 24/7 typically have red, inflamed gum tissue. This leads to sore lesions on your gums and can even cause infection inside your mouth. Wearing your dentures around the clock causes accelerated bone loss. This makes your jaw bone become weaker which results in looser dentures. Finally, wearing your dentures overnight causes them to wear out faster. this means that your denture teeth become flatter and less efficient in chewing food particles. Even if you are wearing full dentures, you should still continue seeing your dentist at least once a year. Keep in mind, dentists do more than just clean and fix your teeth. Your dentist will access your gums and remaining teeth, check for pre-cancerous lesions, examine for TMJ problems, screen for sleep apnea and so much more. 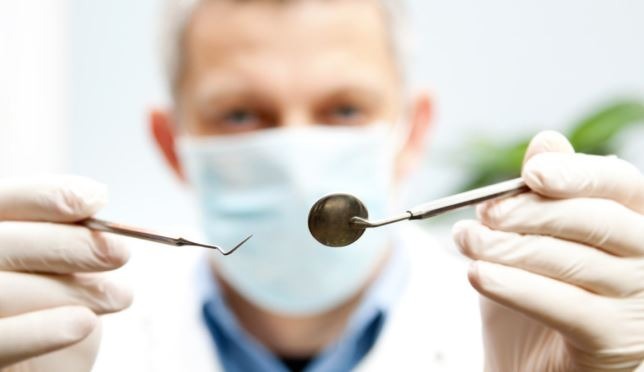 Plus, your dentist can review how you’re cleaning and caring for your dentures, examine your bite and make adjustments as needed. After all, well-maintained dentures last longer and are more efficient and enjoyable to wear. Wearing a new set of dentures will improve the fit, chewing capability and also enhances your appearance. A new set of dentures is typically good for 3 to 5 years before needing replacement. We continue to lose our valuable jaw bone every year when we are without teeth. This causes our current dentures to become loose over time. Additionally, denture teeth wear flat with repeated use and lose their chewing efficiency. This significantly reduces your ability to eat harder food objects and adversely affecs your digestion. Wearing a new set of dentures will improve the fit, chewing capability and also enhances your appearance.